OCast. garuanzos, garvanços, chicharo (in Roman times) Cat ciurons, L. Cicer arietinium, Ar. 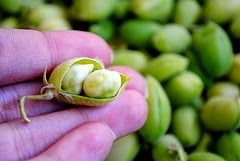 himmaş, humaiş (little chickpeas), MEng chyches, Eng. chickpeas. They grow best in predominantly muddy areas with plenty of sun. The Arabs brought them to Spain from the Orient, supposedly to the city of Cartagena in southwestern Spain. Unlike the Romans, who laughed at anyone eating them, the Spaniards are said to have incorporated the chickpea readily into their cuisine “to keep the wife at home.” It was thought that chickpeas augmented sexuality by increasing the multiplication of sperms, maternal milk and menstrual periods, which of course left the wife very busy indeed. Although the 13th C Hispano-Arab cookbook refers to it as an item only eaten by the poor, Arabs refuted this theory recalling the legend in “The Perfumed Gardens.” There, Abu el- Heidja in a single night “deflowered” eight virgins after a dinner of meat, onions, chickpeas and camel milk. Fadalat, the other surviving 13th C Hispano-Arab culinary manuscript, provides three recipes for chickpeas. There is a proverb in La Maluenga: “On St. Mark’s Day (April 25th), the chickpea is not born or sown”. It is planted between the middle of January and the later part of April, before St. Mark’s Day. Harvesting commences in the beginning of May. 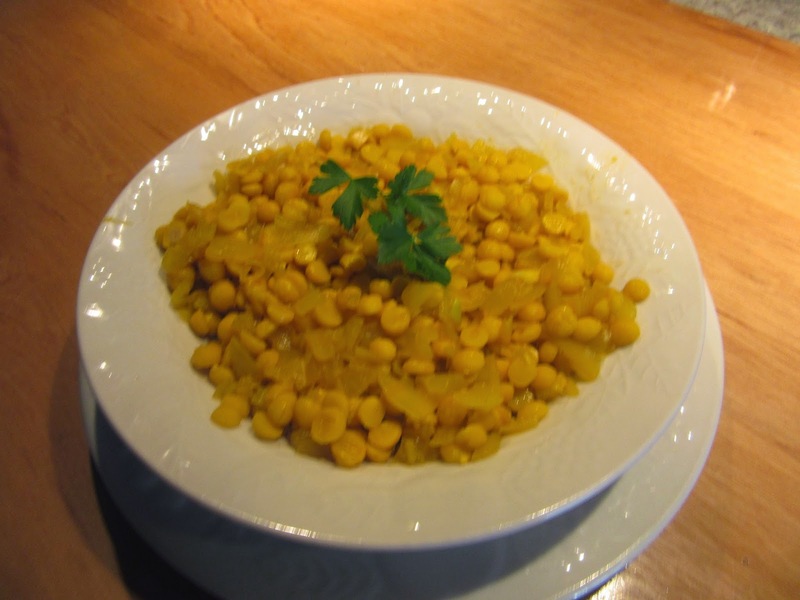 The chickpeas served with cocido are brought to the table in separate earthenware dish in Leon but elsewhere in Spain all the ingredients are served on the same platter. 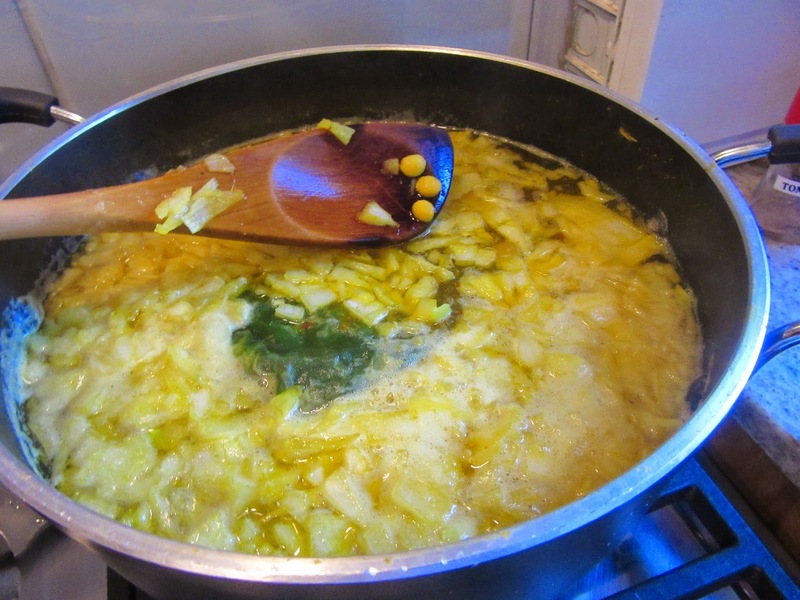 Spanish Jewish Sabbath stews frequently included chickpeas. In England, chickpeas are planted in September and October to prevent frosts from hurting the plant. Generally, they are boiled although there does exist an English medieval recipe called chyches, which calls for roasting chickpeas in ashes and then boiling them with spices, saffron, garlic and a little oil. 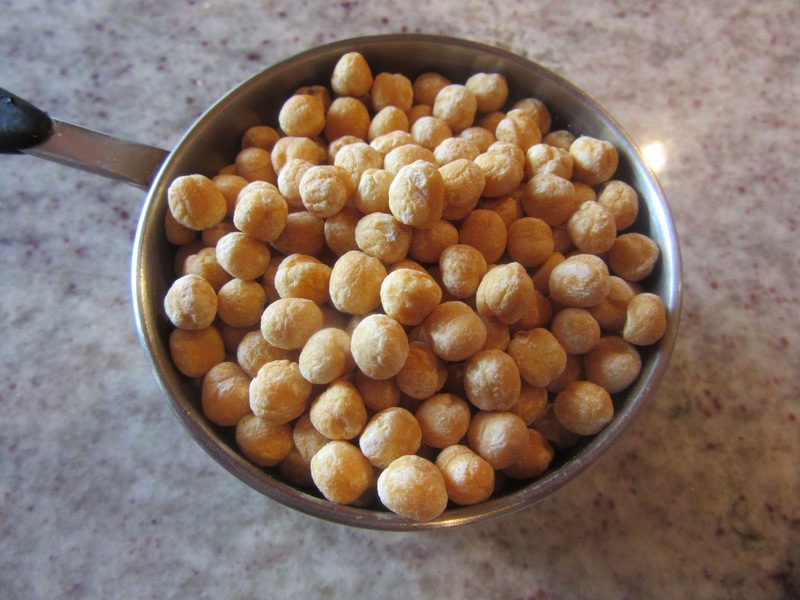 Wash chickpeas and put them in water to soak over night. The next day, strain and rinse the chickpeas. Put them in a pot and fill it with enough water to be 2” above the chickpeas. Add the onion. Put the pepper corns and cilantro in a spice bag. Close it tightly and put it in the pot. Dilute mashed saffron in a little water and add it to the pot. Bring it to a boil and simmer for ½ hr or longer depending on the chickpeas. When tender strain and discard the water and spice bag. Put the chickpeas back in the pot and add murri and vinegar. Mix well, cover and let sit covered for 15 minutes. Taste for vinegar. Dependig on the strength of the vinegar used and personal tastes the amount can be adjusted by adding more vinegar or water to delute it if too strong. Served in a bowl. Lime vinegar can be used instead of common vinegar and onion. See the three blogs titled Cocido published between March 20, 2013 – March 25, 2013 for récipes.